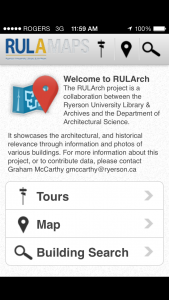 The RULAMaps Architecture app uses your mobile device’s built-in camera and augmented reality software to provide information about architecturally significant buildings in downtown Toronto. 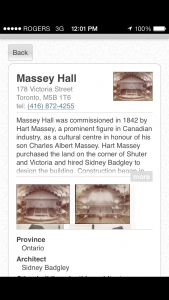 Photos, floor plans, sketches and background information relevant to buildings in the user’s location are displayed on the device. 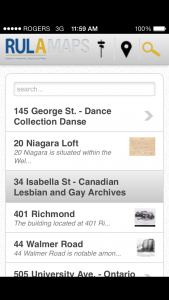 The app can also be used to create walking tours based on a selection of buildings. 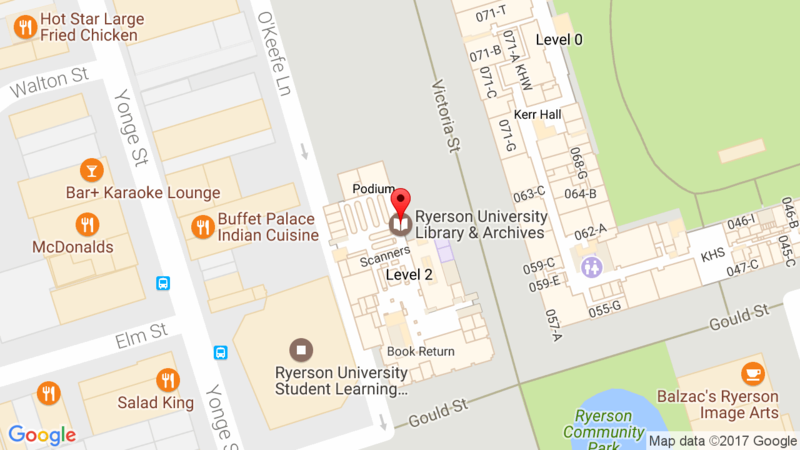 The app is the brainchild of Vincent Hui, a professor of Architecture at Ryerson, who collaborated with Graham McCarthy, a librarian at Ryerson to build the framework for the Apple and Android apps. 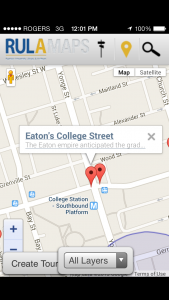 The software created for this app has been used as the basis for several other projects and has the potential to be developed for use in other disciplines.